The Washington Nationals began their player-focused portion of the offseason Friday, extending $15.8 million qualifying offers to shortstop Ian Desmond and starter Jordan Zimmermann, declining to make offers to center fielder Denard Span and starter Doug Fister. Across the league, a record 20 potential free agents were tendered qualifying offers, including New York Mets playoff hero Daniel Murphy, former Nats starter Marco Estrada (Toronto) and the Dodgers’ Zack Greinke. 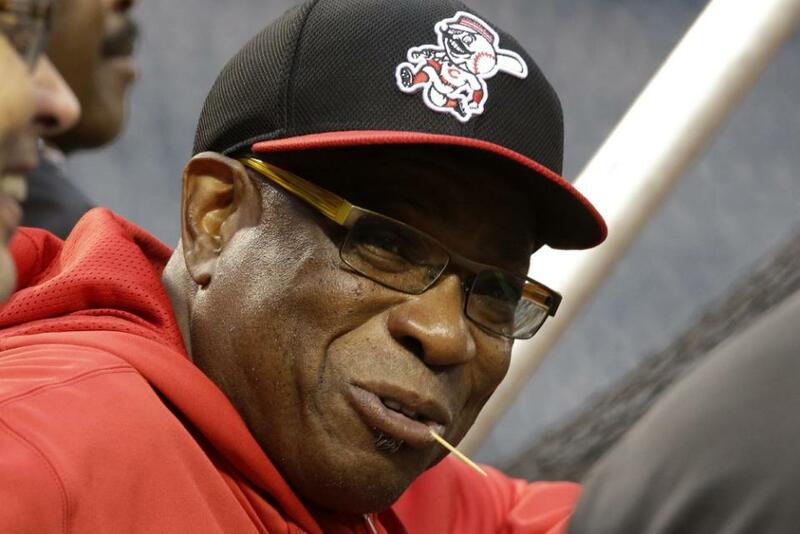 Let’s take out of the equation, just for the moment, the idea that Dusty Baker is going to pick at Bud Black’s scraps and probably become the next manager of the Washington Nationals. According to multiple sources now, the Nats offered Bud Black their managerial job last week during the World Series without mentioning this rate of pay, then over the weekend when they went to do the contract, they offered Black, a veteran manager, a two-year deal for less than $2 million per. Can confirm what @BNightengale said: The Nats’ first offer to Bud Black was for one year guaranteed, at $1.6 million. To compare, the Miami Marlins, with the lowest payroll in all of baseball, offered Don Mattingly a four-year, $10 million deal to become their new skipper. From me and @barrysvrluga, via sources: Nats chose Black on Wednesday, first offer left him “deeply offended,” talks crumbled by Saturday. It’s hard to imagine just how dysfunctional this all looks. The news broke last week that Black had been offered and accepted the job. Then the team goes back and offers him less than they will have to pay Matt Williams to not manage this team next year (Nats are on the hook for the $1 million option of Williams they picked up in the spring for next season). This is obviously coming from ownership. It’s understandable that they’d be reluctant to have to pay two salaries for one job. But it’s the price of doing business, especially when their GM’s hand-picked lieutenant proved to be an inadequate field manager and less-than-respected in the clubhouse. Black was the logical choice for the next manager of the Nats. He’s experienced, respected by players and industry folks, a former big leaguer and pitching coach, and has ties to the area (his daughter went to Maryland). 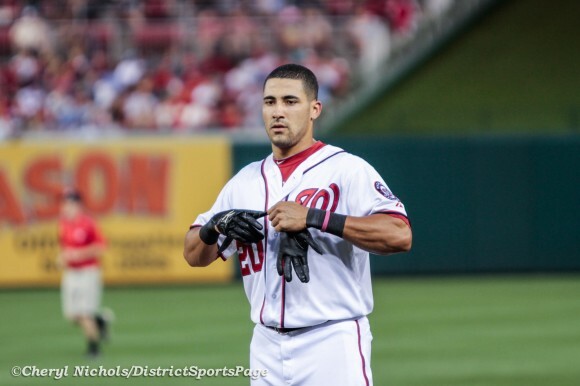 It seemed a fait accompli that he’d be guiding the Nats back to the playoffs next year. Now, all that is up in the air. Baker, who’s a three-time N.L. manager of the year, was told he didn’t get the job, now he’s looking like the front-runner again. How does any self-respecting person see what the Nats did to Black and decide they still want to be a part of it. And when Baker’s salary (or whoever becomes the next manager) becomes public, we’ll go through all the finger pointing yet again. And Baker, by the way, is a dinosaur in this business. He’s as old school as they get. He’s the guy that said he didn’t want players drawing walks because all that does is “clog the bases.” He’s the guy that destroyed Kerry Wood and Mark Prior. But there are also studies that he’s very effective at getting the most out of his hitters, though a lot of that has to do with a bunch of guys named Barry Bonds, Jeff Kent and Sammy Sosa. It’s an ugly and awkward situation that only gets messier when we’re talking about the amount of money the Nats paid Casey Janssen to buy out his option. For several years, the Nats organization was the talk of the league. They were going about things “the right way,” building from within through the draft, shrewd trades and generally acting like adults. But the events of the season, the way the Drew Storen/Jonathan Papelbon and Papelbon/Bryce Harper things were handled, then the firing of Williams and now this, it leaves many more questions than answers. Primary of which, is: Who’s running this show and what’s their motivation? Bud Black’s two greatest strengths were Matt Williams’ weaknesses. The Washington Nationals will hire Bud Black to be their new manager, according to James Wagner of The Washington Post. Part of the fallout from the Washington Nationals dismissal of manager Matt Williams was the release of his entire coaching staff. On Monday, the Nats announced that several of those coaches, and a minor league manager, were reassigned in the organization. Former bench coach Randy Knorr, who’s been with the organization in just about every role possible and who was thought to be a managerial candidate (again), was named Senior Assistant to the General manager, Player Development. Third base coach Bobby Henley was appointed Senior Advisor, Player Development. Bullpen coach (and former Nats player) Matt LeCroy will manager AA-Harrisburg, and former Harrisburg skipper Brian Daubach will become hitting coach at AAA-Syracuse. There was no information on whether the rest of the coaches, including long-time pitching coach Steve McCatty, have been offered other positions in the organization. It’s presumed that when GM Mike Rizzo appoints a new manager –especially if he comes with experience — he’ll be able to interview and hire his own staff. The list of candidates is growing by the day. There have been area and national reports tying the Nats to former managers Bud Black, Charlie Manual and Dusty Baker, longtime coaches Phil Nevin, Dave Martinez and Don Wakamatsu and even retired legend Cal Ripken, Jr.
After disappointment, where do Nats go from here? The past season for the Washington Nationals couldn’t have been more disappointing. Injuries led to rust, which led to collapse, which led to overcompensation, which led to dysfunction, which ultimately led to clearing house. Dave Nichols of District Sports Page and Patrick Reddington of Federal Baseball discuss the Washington Nationals dismissal of manager Matt Williams and the entire coaching staff. Washington Nationals general manager Mike Rizzo announced today that field manager Matt Williams was relieved of his duties. Additionally, bench coach Randy Knorr, pitching coach Steve McCatty, hitting coach Rick Schu, third base coach Bobby Henley, first base coach Tony Tarasco, bullpen coach Matt LeCroy, and defensive coordinator Mark Weidemaier have also been informed their contracts will not be renewed.